Check out our Scherenschnitte design collection. 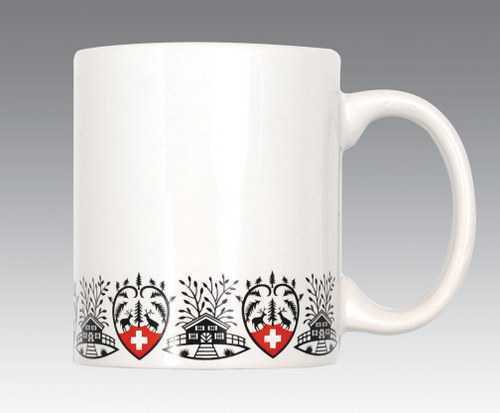 White mug has a scissor cut pattern with Swiss cross, chalet and deer. Service Area: New Glarus, Beloit, Janesville, Rockford, Machesney Park, Middleton, Whitewater, Baraboo, Platteville, Verona, De Forest and surrounding communities.